Every city and every town in Serbia is a story in itself. We give you a part of these stories, and it is up to according to your adventurous spirit to scratch beneath the surface and on its way to explore the cities of Serbia. Belgrade is a true metropolis, dynamic, welcoming and open, with an ambience that is the result of centuries of its position as a crossroads of different cultures and customs. Wide boulevards and broad smiles on the faces of young Belgraders are synonymous Belgrade, so it is a man can easily feel at home. The most famous locations Belgrade are Knez Mihailova Street and Strahinjića bana, Kalemegdan Fortress, and the bohemian quarter Skadarlia, which has retained the atmosphere of Belgrade from the last century. A large number of theaters, museums, galleries, hotels, cafés and clubs with a good time and incredibly beautiful women, his last year gave the image of “the city of sin.” Belgrade is also known for good restaurants with national cuisine, including the oldest and most legendary restaurants “Three Hats”, “some days” and “Two deer”, where with a good kitchen can listen to the famous music from Skadarlia. As for nightlife and entertainment in general is concerned, Belgrade is one of interesting cities in this part of Europe. Clubs, mostly scattered in the center of town and very popular rafts on the river, offering can satisfy the most demanding guests. 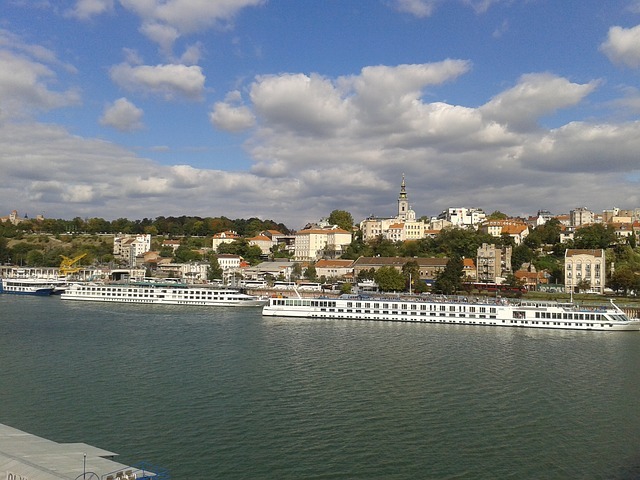 Belgrade has its own sea, the Belgrade Sea as it is called by its inhabitants or more precisely street escalators. Ada Ciganlia is a river peninsula on the Sava River with a large beach and is an ideal place for sport and recreation. In 1821 it was Prince Milos Obrenovic declared for the state and national good, and Artists and Performers for beauty called “Water Flower”. In the summer days Ada offers except sports and entertainment and many cultural events. The cultural capital of Vojvodina, or Serbian Athens, as Novi Sad called in the past, is a small, big city. Although relatively small, Novi Sad is incredibly charming and attractive perhaps due to the combination of traditional and modern, who have long lived harmoniously in this city. This is one of reasons for many to learn and enjoy, but also to remain in it. Novi Sad is a city that has several entertainment centers such as; theaters, museums, galleries, interesting cafés, unusual restaurants, small parks, business centers and the fair, which annually hold 30 international events. The Town Hall, Bishop’s Palace, Monument to Jovan Jovanovic Zmaj, Congregational Church, Catholic port, Petrovaradin Fortress, Monument to Svetozar Miletic, building Banovina, Market honeymooners, Backa Eparchy. Subotica is the second largest city by size in Vojvodina, the center of its northern part. It is located in the far north of Backa, along the border with Hungary, on the international road E – 75 and the railway line which connects the Balkans with northern and western Europe. You will win with architecture, interweaving styles of Gothic, Baroque, Art Nouveau and Neoclassicism, which certainly gives her a special charm. For “free royal city”, Subotica was declared in 1779. Building old City Hall – The monumental building from the beginning of the last century with ornaments , mosaics and decorations great work of art , the Municipal Museum building , city library and theater , Catholic Cathedral and the Jewish Synagogue – The largest in Vojvodina. 5 day Palic Lake – The most beautiful lake in Serbia. The lake is located in a complex that includes a walking trails, a zoo, as well as the good hotels and restaurants, where you will be able to taste traditional dishes from Serbia with a strong influence of Hungarian cuisine. In addition, you can enjoy horseback riding, sailing, cycling and carriage ride through the century-old forest. Ludash Lake – Station large variety of birds and ethno house where you will be familiar with the former way of life in these areas. Every year during the grape harvest is held “Smederevo Autumn”. Event dedicated to grapes and wine, with more cultural, artistic, sporting and promotional content. The event presents the old crafts, old tales, beliefs and customs of the Serbian people, and Svibor program for Serbian Knightly, fighting. Smederevo Fortress – situated on the right bank of the Danube, at the confluence of the Danube lake. By coming to the throne in 1427, Djuradj Brankovic wall new capital. The fortress was built in the period between 1428 and 1430. It represents one of the largest medieval fortifications. Church “Dormition of the Virgin” from the fifteenth century – It is believed that this was a family church and tomb of Despot George. Next to the church is the tomb of Dimitrije Davidovic “the father of Serbian journalism”. Nish is a city at the crossroads of the most important Balkan and European routes, linking Europe with the Middle East, and that is why since ancient times as the gateway between East and West. Nish is mentioned in the period of the Roman and Byzantine history under the name of “Via Militaris” in the middle Ages was called “Constantinople road”. Nish is widely known for its hospitality and good and delicious food. The median – Imperial estate in the suburbs of ancient Niš from the Roman period (fourth century), Fortress – the best preserved Turkish fortress in the Middle Balkans built in 1723, which in its foundation remains of Roman Naissus, Skull Tower – A unique monument, with bricked skulls of Serbian rebels, which the Turks in retaliation raised after the Battle of Cegar, Monument to the Liberators of Nish – erected in 1937. Nishka Banja – is located only 10 kilometers from Nis, at the foot of the mountain Suva. This spa is ideal for vacation, holidays and excursions, and because of these springs and pleasant climate it is visited for treatment and recovery. Gorge – Protected natural phenomenon, an attractive 17 km long canyon, through which the River is. Jelasnica Gorge – Special Nature Reserve, 2 km in length with waterfalls. Bojana’s water and Kamenica – Sites for sledding and skiing. Zrenjanin: formerly known as Beckerek, located in the center of the Serbian part of Banat. The municipality of Zrenjanin is the most dense crossing point in Europe, where it flows more water streams: Begej, Tamis, Tisa, Karas, and canal network Danube-Tisa-Danube. The whole Zrenjanin with its city core and architectural structure represents a unique place, and what can not be missed when you visit this city is the castle located in Ecka, located just 9 km away from the town of Zrenjanin. This castle is a representative of former glamor where the hotel, and a beautiful park can find gallery the most famous painters of Serbia. In the municipality there are the rivers Tisa, Begej and Tamis, which was formed several picnic sites, such as Bobotovo near Elemir, and Botos by Tamis. Near Zrenjanin is a Rusanda, perfect place for rehabilitation and home, and in addition to the spa, and around islands Kanji Island, the famous fishing grounds. In the vicinity of Zrenjanin, more precisely near Ecka is known Imperial bar and a protected nature reserve Old Begej – Imperial bar. Imperial bar is known as one of the biggest ornithological stations in Europe, so the space is ideal for photographing. Carska Bara also offers the fishing. Pancevo is a city in the Banat, by Tamis. Territorial speaking, Pancevo is the seat of the homonymous town as well as the South Banat district (Vojvodina, Serbia). In the city has 76,654 people, and in the county of 130,280. What to eat in Serbia ? Many countries in the world have a great kitchen, but the food from Serbia is by far the most beautiful gastronomic experience in the world. Serbian cuisine is hetorogen, although the turbulent historical events influenced the food of the people, so that each region has its own peculiarities and differences . It can be said that the decisive influences were the Byzantine- Greek, then – Mediterranean, Oriental and Austro-Hungarian. Serbia is famous with ‘’ kebapi ’’ ‘hamburger” (grill meat), beans, Sarma – Cabbage with meat and burek – homemade pie with meat. What to drink in Serbia? Serbs belong to the hedonistic nations when it comes to food and drink. The Serbian people saved and produces top quality traditional food and drink, of which plum brandy world famous brand. Serbia is known as the land of healthy and quality food, and Serbian wine slowly conquering the world. In Serbia, drinking coffee , or enjoy a drink with family and friends are indispensable rituals . When toasting, it is said “in health” or “live”, because it can be drunk in health, often with no specific reason, and celebrated life. There’s the familiar dilemma of whether the glass is half empty or full … In the spirit of Serbian optimism and how this Serbian etiquette commands, it is always full to the brim, because, of course not, you are not “half a man “!